Arista’s Industrial Large Format Monitors and Computers integrates swappable CPU module in the unit and available in LCD display size 42″, 65″ and 84″. These rugged large format LCD display computers were designed with touch capability so they can be used for information kiosk on plant floor. The swappable CPU module comes with Intel Cedar Trail 1.86GHz dual core Atom N2800 CPU and can be populated up to 4GB DDR3 memory. Arista’s Large Format Industrial LCD Display Computers provide optional WIFI capability which provides the mobility of communicating information across plant floor. Swappable CPU Module The repair and maintenance cost of large format display in high ceiling installation could be very expensive. The swappable CPU module of the Large Format Display Computers minimizes downtime and the cost of repair and maintenance. Because CPU module is swappable, replacing CPU module does not require taking down the unit which saves tremendous manpower and cost. Because CPU module is swappable, replacing CPU module is easy and quick. . Because CPU module is swappable, to upgrade CPU module is easy and quick as well. The CPU module available today is powered by Intel Cedar Trail 1.86GHz dual core Atom N2800 CPU and up to 4GB DDR3 memory capacity. Dual Gigabit Ethernet, four USB 2.0, one RS-232 and one VGA output are integrated in the CPU module. Auxiliary Video Inputs Arista Corp. creatively adds auxiliary video inputs to the design of Large Format Display Computers. The auxiliary video inputs can transform Large Format Display Computer to LCD Display unit by connecting to alternative computer video output when CPU module fails. 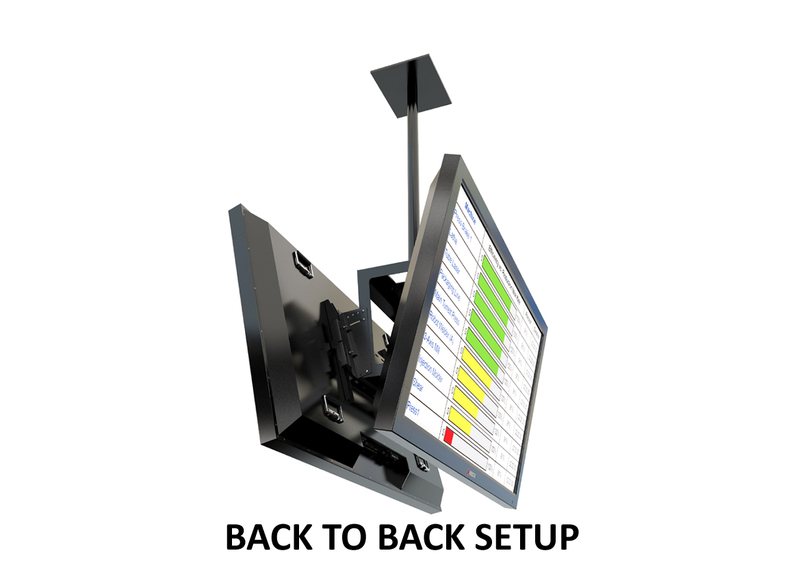 With auxiliary video inputs, The Large Format Display Computers can be purchased as LCD Display only and CPU module can be added in the future when it is needed.